Just like we have mentioned in early Blog, all of our iSW built in receiver tubular motors and remotes are fully compatible with Trust Smart Home controller ICS-2000, the model of these tubular motors are iSW25TE, iSW25LE, iSW28LE and iSW25CE. Most importantly, the Trust control station ICS-2000 can integrate with Amazon Alexa and Google home now. New products may arrive late of next month. There are mainly two new products which will arrive late of next month. These two products are iSW DT82TS curtain motor and iSW DJ51TS Actuator (Window Opener). The iSW DT82TS is for those customer who wants to connect it with Z-Wave Roller shutter module such as Fibaro RS2 module, the iSW DT82TS is fully compatible with Fibaro RS2, so it would be good for those customer wants to control the motorised curtain through Z-Wave controller. The iSW DJ51TS is pretty much a new product which we have never had them for sale before, it is for those customer who wants the window opener in a good price. After finishing Christmas and New Year Holiday, we are returning to work now. it means we can make up to 5.65m maximal length motorised curtain track in one single piece without the jointer for the Auckland region customer ( need to pick up only ) , but for those urban areas other than Auckland, then we can make the maximal length would be 2.3m without the jointer and 1.4m maximal length for rural areas due to courier's size restrictions. 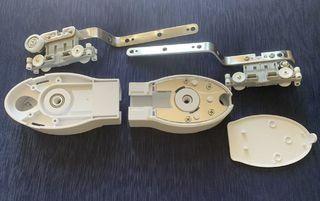 For those customer who choose iSW DT72EN and iSW DT72TV/W curtain motors, you need the DT72 type of track, then we are going to use very high quality components ( like component showed in the picture) to make this kind of curtain track, we will only charge this kind of track for 12% more than the DT82 type of track. We have just started the Christmas and New Year Holiday period today. Very fortunately, we have received the latest shipment of the new products yesterday. Firstly, we have the 5.5m length curtain track now, meaning we can make the maximum 5.65m length motorised curtain track in one piece here in New Zealand for our Auckland area customers from the middle of January next year. Secondly, we now have WiFi Curtain motor iSW DT72TV/W, you can control the WiFi Curtain track directly without any extra device via the App which is called "connector" app. You can set the timer or remote control the curtain anywhere in the world. This means we have a very wide range of curtain motors to meet different customer's requirements now. We will bring in the iSW DT82TS curtain motor to work with the Z-Wave controller next year. Order and sale between the holidays period. All of the custom made order cannot be placed now until the middle of January of 2019. We can still carry on the consultation,measurement and free quotation for our customer before we start the holiday on early of December, but we only can process the order after the middle of the January of 2019. You can still purchase other products include the ready made motorised curtain tracks (products only, no installation) from our website until 30th of November, in our holiday period, all of buy buttons will be removed from our website. 82TS curtain motor are fully compatible with Fibaro Roller shutter 2 Z-wave module without of any issue. We have tested all of Fibaro RS2 , Qubino Flush shutter and TBK roller shutter controller with 82TS curtain motor before, sometimes we confused each other, now we can confirm the Fibaro Roller Shutter 2 Z-Wave module is fully compatible, the other two are not. So from now on, if you want to use the Z-Wave module to control the motorised curtain track, we will recommend you to use the 82TS 4 wires standard curtain motor with Fibaro RS2 module, it can do auto calibration and position controlling through the Z-Wave controller. 3, Click calibration button on the interface of Z-Wave controller, the motorised curtain track will automatically fully open, fully close and fully open again. All done, it's pretty simple. you just need to click the open and close button a couple times, the limit position will be set up again, carry on number 3 step again, then it will be all good again. The Trust control station ICS-2000 can integrate with Amazon Alexa and Google home now. We will not be receiving any orders from the period of 20 Nov. 2018 to 14 Jan. 2019. Due to an holiday from early December to early January 2019, the last date orders will be accepted will be the 19th of November 2018. We will start accepting orders again from the 15th of January 2019. Although we won't be accepting or processing any orders during this period, you are still welcome you to send any emails for inquiries. We will answer your questions and reply to your email as soon as possible. We are pretty lucky we are pretty much the first company to source this product in the world, there are a lot of interesting from all over the world since we put this product on our website, even in oversea smarthome forum, they mentioned this product on our website oftenly, sadly at the moment, we are only considering to provide this product to our New Zealand customers. The shipment of the new products have finally arrived. 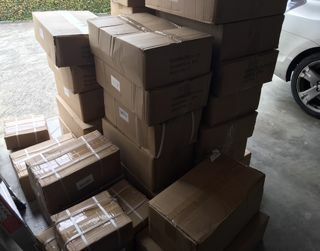 The shipment of the new products have finally arrived today, due to the Auckland Port accident about three weeks ago, our shipment have been delay to be delivered. The range of the new products which arrived today are three different kinds of curtain motors: new iSW 82LE Li ion battery power curtain motor, new iSW72EN 75W 100Kg load-bearing capacity most powerful curtain motor and iSW 82TN curtain motor. New iSW28LEQ built in Li ion battery powered 2.0Nm tubular motor and several new remote control. 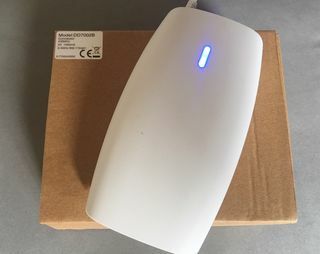 We will start slowly to put these new products together with the new WIFI Bridge Hub which arrived in a couple days ago on our website from now on, Please keep on watching. A new revolution smart control hub-WIFI Bridge will arrive in stock soon. As our most of curtain motors and tubular motors contain built in 433MHz RF receiver, as you know we usually use the Broadlink RM PRO hub to control the motor remotely or set the timing to control via download e-control app to your smartphone or tablet, the disadvantage of Broadlink RM Pro Hub is if you want to voice control the motor via Amazon Alexa or Google Home, then you only can use the Android smart devices, you can't use the iphone or ipad, meanwhile the communication between the Broadlink Hub and the motor is one way not two way, it means the Broadlink can't know the motor's operating status, like open or close, up or down. 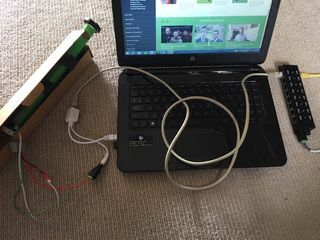 A new revolutionary smart home hub-WIFI bridge will works with our iSmart Window system those have built in 433 MHz RF receiver, it can integrate with the Amazon Alexa ( works now ) and Google Home (works soon), the communications between the WIFI Bridge and the motor are two way, we can know the status of the motor's operating form the app. 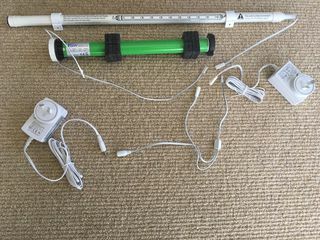 It's very easy to set up and simple to use. 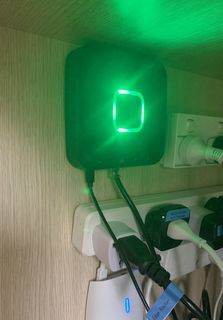 The downside of this WIFI Bridge compare to Broadlink is it works only with our iSmarwindow system or Dooya motorised curtain, roller blind and shutter etc those contain built in 433 MHz RF receiver or WIFI module , the other disadvantage is it's more expensive than Broadlink RM Pro Hub. 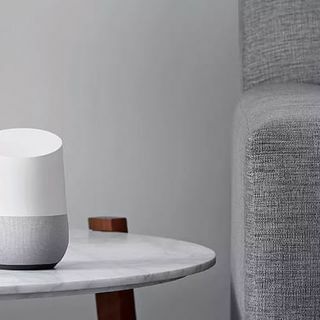 Please note: The WiFi bridge is compatible with the Google Home now. WE start to run current promotions on 10/04/2018, some of items have huge 50% discount such as Amazon Echo ( 1st Generation ) etc. Meanwhile we will have more and more Onkyo and KEF AV Equipments on sale now, please send me your inquiry for them, we will give you as best as possible price. More new products coming in 2 months.